Power Transmission - Sprockets | FUH Industrial, Inc. Indicates no keyway. (2)1/4 Setscrews only in 1/2 bore. 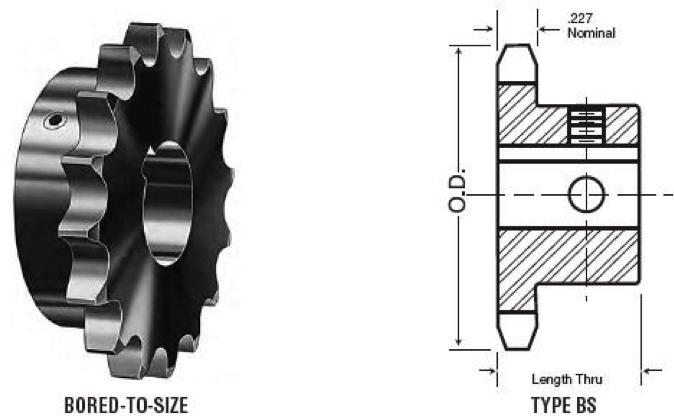 Hub diameters vary to suit different bore sizes. KEYWAY IS ON CENTER LINE OF TOOTH. Powered by FUH Industrial, Inc.